25 years of filming in extreme locations, and traveling to many corners of the globe, has shaped this company. Ace & Ace comes from a background in the mountaineering world. 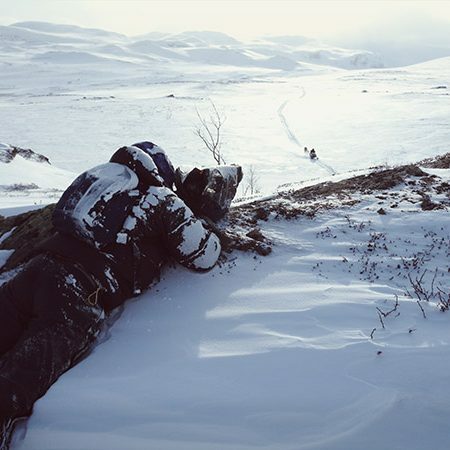 Our first many years we were producing skiing and action films around the world giving us great experience in navigating different types of terrain and weather. We have filmed in difficult and critical situations, including climate conditions that were very unpleasant, giving us great experience in making precise decisions while producing film under difficult conditions. From wild bushfires in Australia, to freezing temperatures of -37 degrees Centigrade (-35 degrees Fahrenheit) on the inland ice of Greenland, to the humid, moist jungles of Borneo. Below a list of countries we have been filming in. Click to see photos from some of the many productions. Production: A Taste of Greenland. Production: Fish and Sushi in Australia. Production: Fish and Sushi in Argentina. You can see more from our photo gallery under this link. From freediving with Killer Whales in the deep fjords of Norway, to beautiful wildlife in South Africa, to uncovering the electronic waste trail in India. All photos can be purchased or ordered directly as fine-art prints. We believe that a good story, told well, can truly make a difference in how one sees the world. Whether it is a feature film, documentary, short film or other form of media. Our mission is to tell compelling, entertaining stories which create awareness of the real issues that shape our lives.